Moccia graduated from NMSU in 1989. He was captain of the Aggie baseball team and went on to play in the Detroit Tigers minor league system. 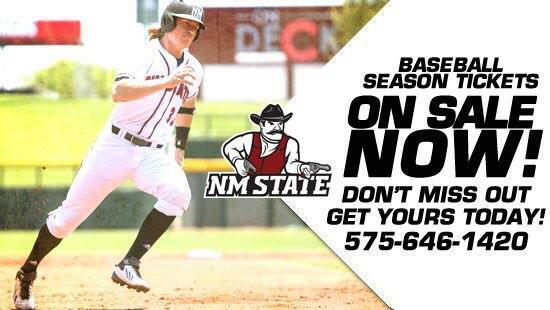 Moccia was inducted into the NMSU Hall of Fame in 1998. “This is an exciting day for me and my family,” Moccia said. “Returning to one’s alma mater is an opportunity not afforded to many people and to come back to Las Cruces and New Mexico State University where I have so many fond memories as a student-athlete makes me a very fortunate individual. I know my wife, Heidi, and children Addie and Gemma are excited as well. Moccia is First Vice President of the Minority Opportunities Athletic Association and serves on its Executive Committee. He also was named the Under Armour Athletics Director of the Year in 2013. The Southern Illinois Salukis were successful across the board during Moccia’s tenure, winning conference championships in football, men’s and women’s basketball, women’s golf, men’s and women’s cross country, men’s tennis, softball, men’s and women’s track, and women’s swimming and diving. While at Southern Illinois University, Moccia played an important role in a major fundraising/capital improvement project to build a new football stadium, a new athletic support building and renovate the university’s basketball arena. He also negotiated media rights, footwear and apparel contracts. Moccia will take over NMSU’s Athletics Department, effective Jan. 5, 2015. During the news conference, Carruthers praised the efforts of outgoing Athletics Director McKinley Boston. Senior Associate Director of Athletics at the University of Missouri from 1998-2006. He also worked as the Associate Athletics Director for External Operations at Texas State University from 1997-1998 and Director of Sales/Lobo Club assistant director at the University of New Mexico from 1993-1997. Moccia currently serves on the NCAA Division I Championships/Sports Management Cabinet. He is the FCS representative for the NCAA’s Administration Committee and serves as liaison to Men’s Basketball Committee. As part of his contract, Moccia will make $240,000 per year, plus incentives.